Parade. 3rdSt., 246-2007D. Looking west. c. late 1800's. Third Av., 246-2007E. Broadway on right. c. 1960's. Bwy & 3rdAv., 246-2007F. Isenberg Hardware store. Bridge, Manchester, 246-2007J. “Milw. Bridge & Iron Works, 1884. Devils Lk, 246-2007L. South shore. 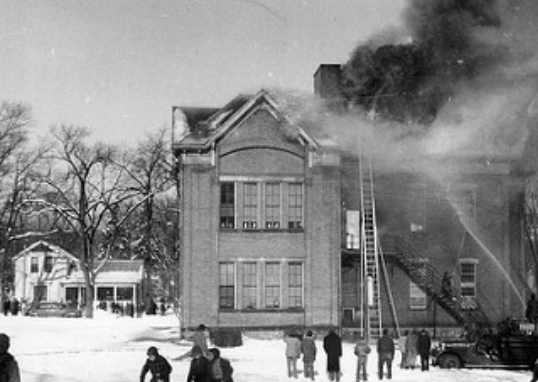 School Fire, 1stWard, 246-2007P thru T. Baraboo. Horseshoe Curve, 246-2007W. Near Ableman. Wellington Hotel, 236-2007Y. Newspaper clipping. C. 1900.